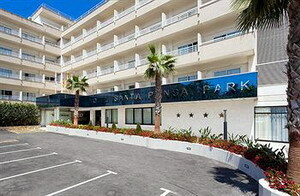 The Acorn Santa Ponsa is a modern resort hotel, situated in the small village of Santa Ponsa on Mallorca's south-west coast, 200 metres from the sandy beach. 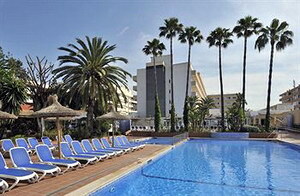 Guests can relax and unwind on sun loungers by one of the two outdoor pools. The indoor pool is heated throughout the winter months and there is also a sauna. Younger guests can get involved in children's activities, including arts and crafts, games and sports as well as competitions and shows for all the family. Teenagers have their own club with activities such as pool games and mini-golf, and there is also a Playstation area in the lobby, as well as a satellite TV lounge and Internet corner. 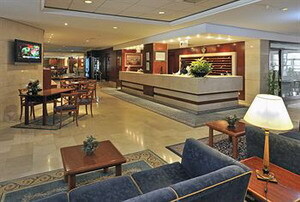 Multilingual staff at the 24-hour front desk can assist with tour advice and give information on the local area. Practical amenities include laundry services, parking and currency exchange. 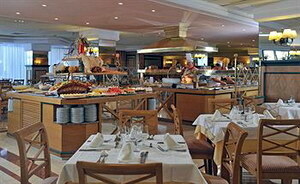 The hotel has a main buffet restaurant as well as a snack bar and poolside bar, all of which are included in the All-Inclusive rate. The Sports centre offers a range of guided outdoor activities such as walking, rock climbing, cycling and motorbike rambling, lead by trained and expert staff. 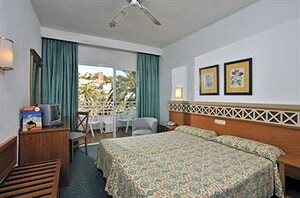 Onsite, guests will find a tennis court, volleyball court, bowls, table tennis, billiards, archery, gym and water polo. 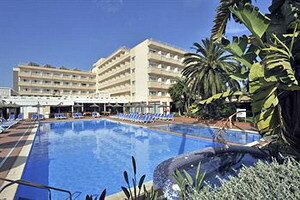 Palma Mallorca Airport is a five minute drive and two kilometres from the hotel. The 269 air-conditioned guestrooms have a light simple decor with soft furnishings in blues and yellows and dark wood furniture. All have balconies with seating and include satellite television, direct-dial telephones, safes (surcharge) and refrigerators (surcharge). 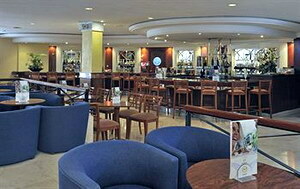 The All-Inclusive room rate option incorporates buffet breakfast, lunch and dinner with table wine, water and soft drinks included, late continental breakfast, snacks from 10 AM to noon and from 9 PM to midnight, afternoon coffee and cakes, and drinks at the bars from 10 AM to midnight including local spirits, beer, non alcoholic drinks and cocktails. Vintage wines and premium spirits not included.